So-creatie goes international. This extraordinary story brought us to the west coast of Finland, to a small village called Aura. This is home sweet home for the factory of organic ice cream producer Jymy. We get together with CEO Horst Neumann and talk about social entrepreneurship in Finland, organic food production and ice cream. The sun shines bright in the idyllic town of Aura, a place where time seems to stand still. The pine trees and outstretched meadows pass by slowly: a typical Scandinavian landscape meets our eyes. The old Jymy factory is based in such beautiful scenery, an environment that seems to fit the organic ice cream producer perfectly. “Small is the new big”, says Jymy-founder Horst Neumann as he gently welcomes us to his office. “And the same applies for the ice cream world too”. Finland seems to be a paradise when it comes to the subject of producing organic ice cream and other dairy products. Milk, soil and the ground water are of the highest quality in this Nordic country. The bushes filled with fresh blueberries appear to be endless, the summer lights only are turning into dark tints by the end of the evenings and the nights are breezy and cool. Despite the fact that Horst and his companions have only started producing their ice cream back in 2014, they have managed to successfully sell Jymy’s ice cream at a big variety of different selling points through the whole of Finland. We can now find the organic ice cream in freezers of big supermarket chains, restaurants, museums and trains. By now there doesn’t seem to be a way to miss out on the contemporary design of the Jymy ice cream packaging somewhere in Finland. Even the national Finnish airline Finnair has started offering their passengers Jymy ice cream. Therefore it shouldn’t be considered a wonder that Neumann emphasizes the importance of social enterprises and bigger corporations working together on a frequent level. In the first two years, business picks up well for the Aura based ice cream company. Taking into consideration that Finns seem to love their ice cream; their country is ranked fourth internationally in consumption per capita. “With only 5 million inhabitants, we are still in the top of the world when it comes to ice cream consumption,” Neumann explains. The social enterprise is currently mainly focusing on their own national market. That doesn’t mean that Jymy isn’t expanding their business to other European countries. 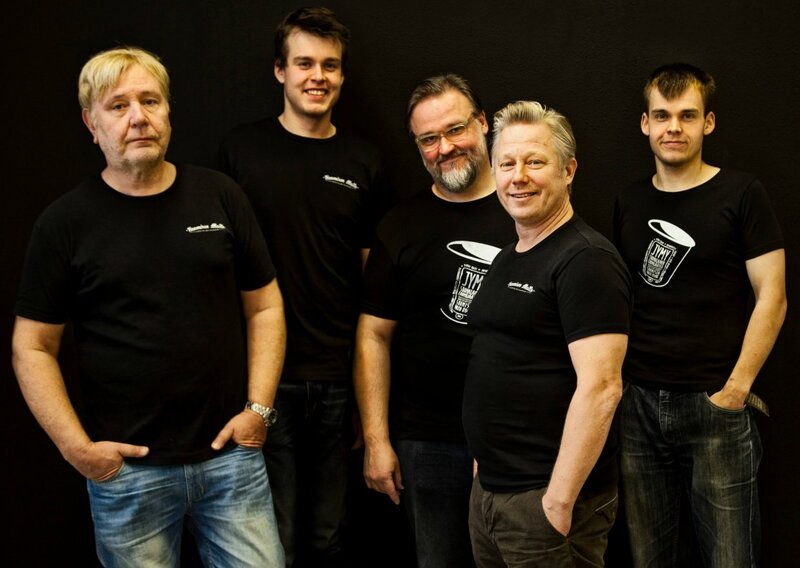 “We recently started selling our ice cream in Planet Organic stores in London.” For now, the five ice cream men, above all, seem to have a clear goal: Jymy becoming The National Ice Cream of Finland. Finland is known to be one of the most socially progressive countries in the world. The educational system is one of the best around, on the subject of sustainability the Nordic country seems to make huge impact, and the country is one of the least corrupt states in the world. Those examples enforce Finland’s reputation as being one of the leading countries on the subject of the welfare state and equality. Does that mean that social enterprises are not as necessary here as in other European countries? That answer can be given with a straightforward ‘no’. According to Horst Neumann Finland is a unique place to have a social enterprise. For the past two years Jymy has been integrating a lot of social components in their own company. Examples are the progressive ecological goals that are set by the ice cream company. “We try to produce our products as eco-friendly as possible.” On the field of human resource management the company aspires to make social impact as well. “We welcome young starters and people over the age of 55.” Just as the employees are able to plan their own working hours and schedule their own holiday. “Things like this make people feel more engaged in Jymy.” So it shouldn’t come as a surprise that valuing both humans and nature is the company mantra. 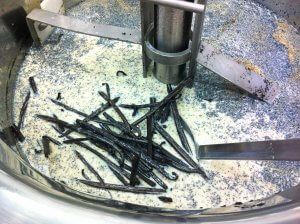 Organic ingredients form a very important fundament for the Finnish ice cream producer Jymy. Besides this cornerstone, CEO Neumann also emphasizes the importance of the ingredients that are not being added by his company. “No added artificial flavorings or colors for example; that’s how you get the real Jymy taste.” Which to newcomers can best be described as pure. 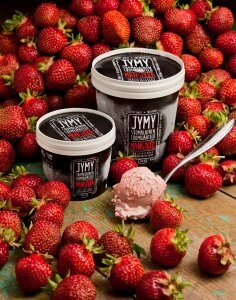 The typical Finnish blueberries or lingonberries are indisputably recognizable in the Jymy ice cream. Like they were just hand picked from a beautiful Finnish forest on a perfect summer day. Reality check: as a matter a fact, they really are! “All these great sustainable and ethnical alternatives are the opposite of what the mass food producers all over the world are doing at the moment,” Horst points out passionately. In the long run Neumann and his four other ‘ice cream founding fathers’ would like to bring the typical and pure Jymy taste – which has been made mainly by the Finnish Midsummer night sun – to the rest of the world. “My advice to every social entrepreneur on the planet? Follow your heart and passion.” It’s that same attitude and enormous passion for the taste of pure ice cream after all, that brought five seemingly different gentlemen together in the first place. 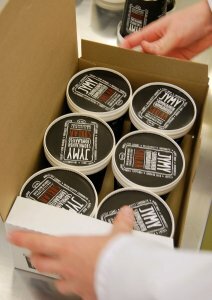 Now Jymy is a well-respected Finnish social enterprise where pure passion for pure ice cream forms the basis. Small indeed appears to be the new big.